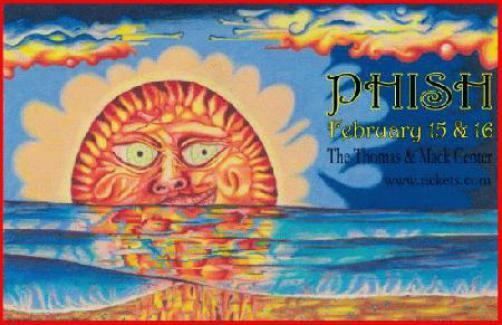 Original concert poster for Phish at The Thomas and Mack Center in Las Vegas. 18x12 on card stock. Limited edition of 250 signed by artist Adam Cohen.